This is a time of year for looking back at the past year of goals and looking toward new goals. After the holidays punctuate the end of the year in celebration, its time to get back to business. Back to the grind and the hard work that it takes to achieve goals. This past year, I wrote 3 books and edited 3 books. I sent out 11 query letters and received 11 rejections. I finally established a writing routine and stuck to it for over nine months. I started this blog. All goals checked off a list. This year, I have a new list of goals. I’d like to write 4 books and edit 3 books. I’d like to improve this blog by making it more reader friendly. I have other goals that I can’t reveal quite yet, but they’re exciting. 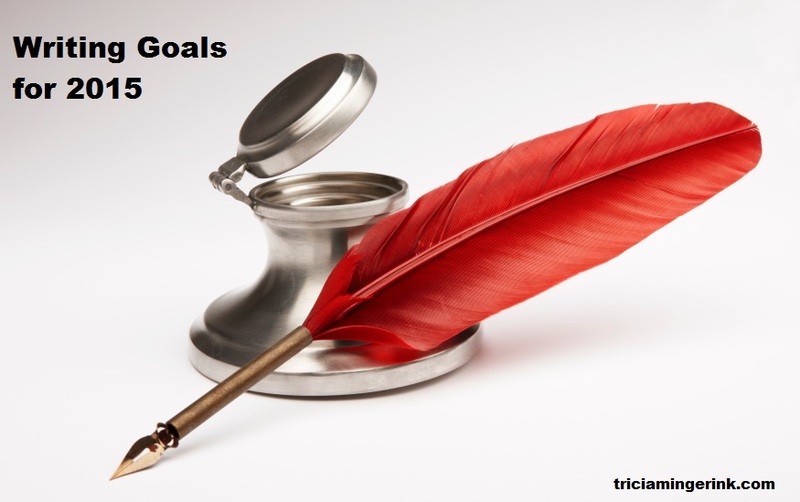 The long list of goals can be overwhelming. Shoulders can sag under the weight of goals needing to be checked off lists upon lists. Even exciting goals can be wearisome if they seem too big. But they needn’t be too big. Yes, I have goals, but I must ultimately bow to God’s will. His will for my life trumps all my goals. I hope, as you set out on your goals, that you are sustained as you tackle them this year. Looking forward into this new year of blogging, what would you as readers like to see in this blog? More book reviews? More posts on writing? Other things? I’m going to say posts on writing are my favorite. 🙂 But it’s so hard to choose! Oh, right. I didn’t say what I plan to do this new year. Wow, you accomplished so much in your writing this year. Like you did this year, I hope to finish drafting and editing three of my WIPs. Then, I want to choose one WIP to start querying agents with. Good luck with your querying! As for the blog, I love posts about the writing process. I hope your drafting, editing, and querying go well!